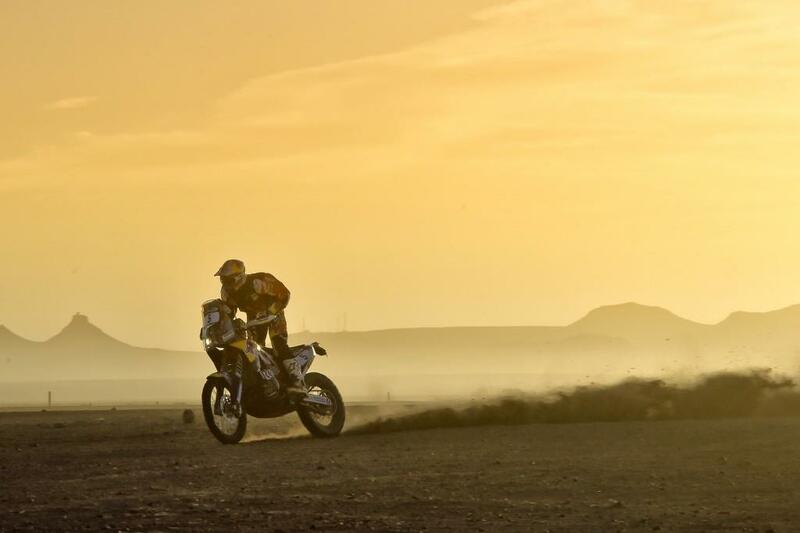 Britain’s Sam Sunderland has won the Oil Libya Rally of Morocco onboard his Factory KTM - his first world championship race win of his career. The 26 year old secured victory by just 34 seconds after five days of racing from his KTM team-mate Mathias Walkner who’s second position saw him crowned FIM World Cross Country Champion. The Morocco event is one of the main pre-cursors to the 2016 Dakar and the event boasted a big entry with all the full factory KTM, Honda, Yamaha and Husqvarna teams and rider in attendance. Speaking immediately after the race, Sunderland said: “I was a bit nervous coming into the final day because I had to open the route. There was a lot of tricky navigation and I was a bit stressed to start with but I managed to keep focussed and not make any mistakes. “This is the biggest race outside of the Dakar. Everyone arrives here ready to fight because its the last race before Dakar. 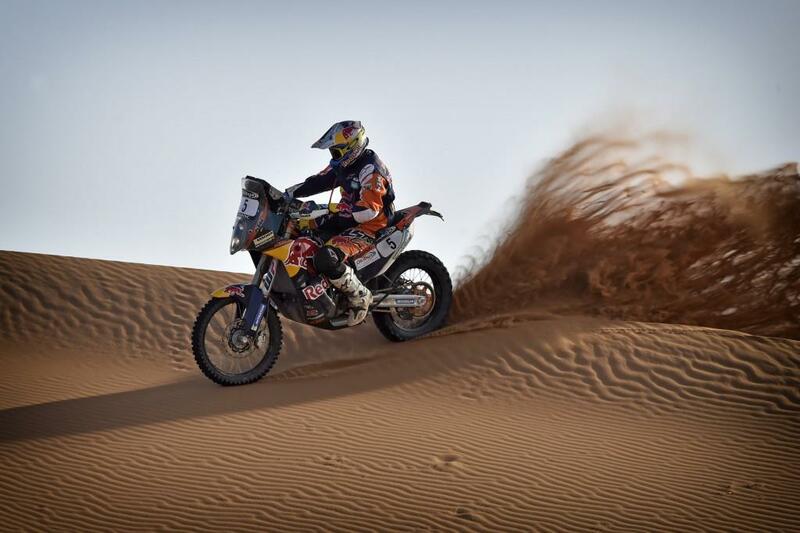 Everyone is really motivated to take the win and its also very similar terrain to some days of the Dakar. Sunderland’s victory is perfect preparation for the 2016 Dakar. 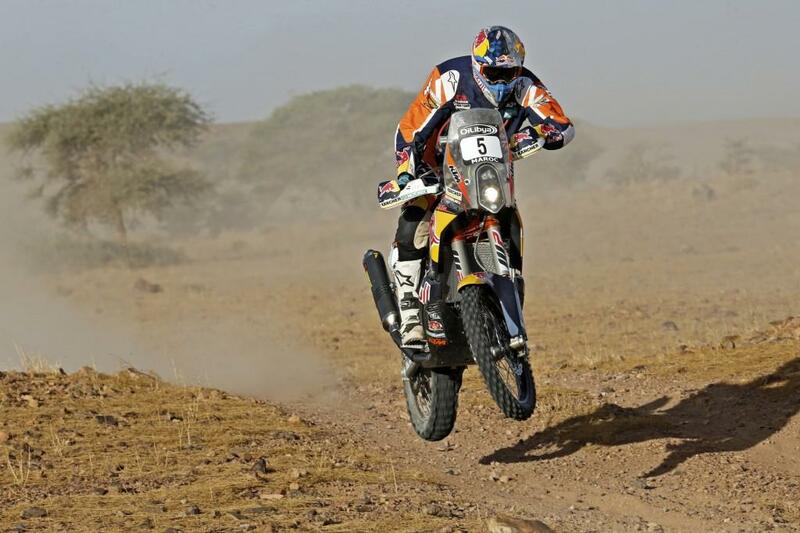 Despite winning stages of the Dakar in previous years, Sunderland is yet to finish the gruelling event. But with another year of experience and international rallies under his belt he is well placed to be a contender in the 2016 Dakar, which runs from 3rd to 16th January 2016. 2. Sunderland KTM 80 3.